Planning a club activity seems deceptively easy, but it can quickly turn into a nightmare if you don’t have the right resources. Thankfully, you’ve got the power of the internet and the latest technology on your side. In this article, we’ll share a few great tools that you can use to make organizing your club activities a breeze. If you’re looking for an incredibly flexible and powerful group communication app, BAND is a fantastic choice. You can start a group specifically for your club members, but you can also join other groups, too, all with the same account. BAND can also help you keep in touch with your members via group chats, group calls, and forums. You can even use different identities in one account. This means that you can use a pen name in your club’s group while using your real name for groups geared towards professionals. Disseminating information is a lot easier thanks to online tools. Unfortunately, your club members can still lose track of your announcements, especially when it comes to specific dates and times. With Google Calendar, you can invite your members to your club’s specific calendar so that they can check for any upcoming activities. It also allows them to check your club’s calendar against their own personal calendar so that they can easily see any conflicts in their schedules. Your members can then accept or reject your invitation, so you can readily see at a glance who’s available and who isn’t. Trello’s Kanban-style interface is so versatile that there are endless possibilities in terms of how to utilize it for your club’s needs. Some ideas include using it as your club’s to-do list, converting it into an idea board, or even turning it into a central voting center. Best of all, it’s free for all to use, with some neat customization options available for a small fee. This app is a lifesaver when it comes to collaborating with other people over the internet. Not only can you upload and share files with each other, but you can even work within the same file simultaneously. You can edit your club’s documents, prepare interactive slides for your activities, or compute your club’s finances in a spreadsheet. No matter what your role in your club is, Google Drive has everything you could possibly need. Say goodbye to the days of exchanging huge files via USB thumb drives. As an overall group storage system, you can’t go wrong with DropBox. All you’ve got to do is create a group folder, invite your club members to it, and you’re good to go. Then, just drag and drop the files into the group folder, and it’ll show up in everybody else’s computers automatically. This app is also free to use, with some additional space available depending on which monthly plan you sign up for. In this day and age, you’d be hard-pressed to find a club that doesn’t have at least one social media page. It’s a great way to promote your group, advertise your activities, and invite people to join. However, having to think about posting announcements every single day at very specific hours can get incredibly taxing. With HootSuite, you can schedule all of your social media posts in advance. That way, you can spend more time working with your club members on more productive tasks instead of manually updating your online pages. 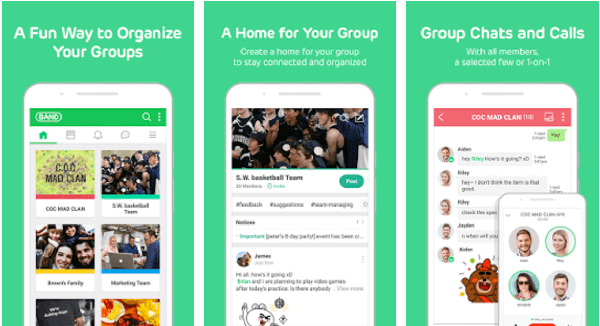 With these tools, you’ll have much less trouble organizing your club activities. By integrating these into your workflow, you can greatly increase your productivity. Thus, you’ll be better able to fully engage and have fun with your club members once the activities are well underway. Try these out for your own club now!